A year ago, NADAAA blogged about our hyperbolic paraboloid ceiling mock-up, which will be featured above the third floor design studio at the new Daniels Faculty of Architecture, Landscape and Design. Since that time, the client has charged us with an additional mandate: to reduce projected mechanical energy through the incorporation of radiant mechanical systems throughout the building. 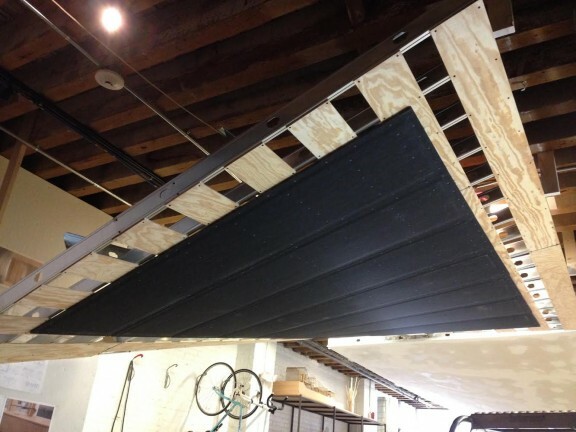 This mandate presented a unique challenge for our feature ceiling: radiant chilled panels are almost always flat, where our design distinguishes itself through a subtle ruled curvature. 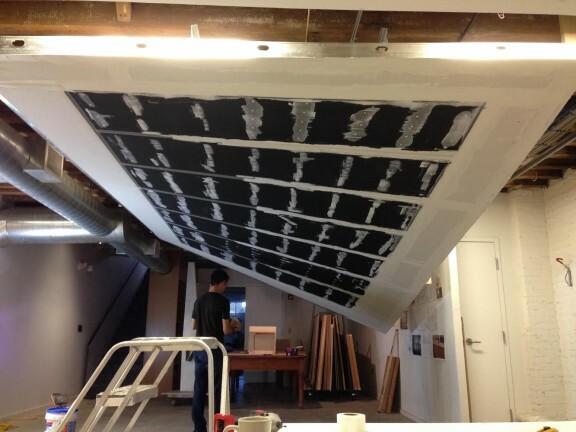 HyPar Mockup No.2: 2’x8′ radiant graphite-core panels on 1/4″ plywood strapping, over light gauge stud backup framing. NADAAA’s original mockup is seen beyond. 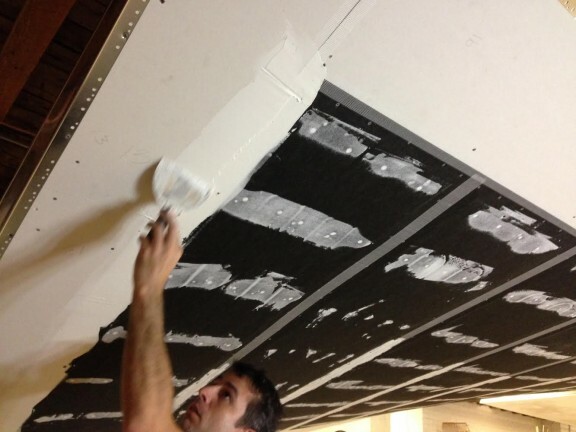 In this image, the radiant graphite panels are mudded and taped against a perimeter of conventional 1/2″ thick gypsum board, ready for a standard paint finish. 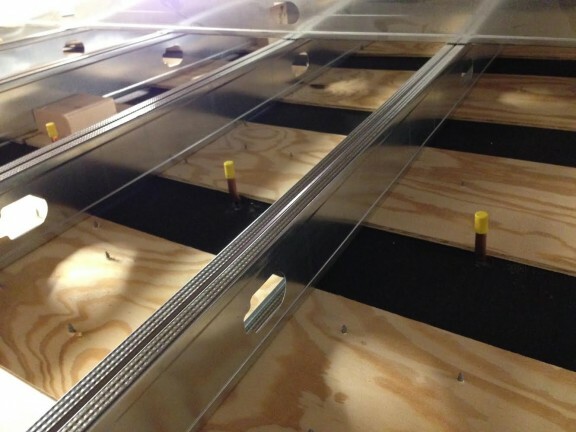 This image shows the backside (top) of the mockup, where copper leaders penetrate the backside of the panels for connection to hydronic tube supply/return connections.